Felipe Nasr and Sauber could hardly have asked for a better end to a difficult week with the Brazilian scoring points in his debut race. The build-up to the 2015 season-opening Australian Grand Prix was dominated by off-track matters with former driver Giedo van der Garde taking legal action against Sauber to force them to hand him a seat. Although the court ruled in Van der Garde's favour, the Dutchman came to an agreement with the team, which paved the way for Nasr and Marcus Ericsson to drive at Albert Park. 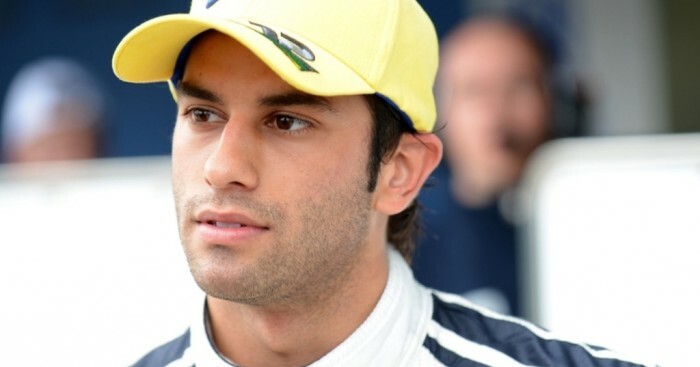 Nasr was 11th fastest in qualifying on Saturday and he started P10 following Valtteri Bottas' withdrawal. He got off to an excellent start and held off the likes of Daniel Ricciardo and Kimi Raikkonen early on and went on to finish fifth. "I am very happy with fifth position in my first ever Formula One race. It is such a big relief for the team and myself that we are able to score points, and I am very pleased about this achievement. It was a tough race," the Brazilian said. "Right after the start it was quite messy in Turn 1, as another driver hit my wheel. I thought the car was damaged a bit, but after a few laps I noticed everything was fine. "After that, the race went according to plan. There was pressure from behind during the whole race, which was not easy. That was an emotional race for me and everyone in the team." After failing to score points in 19 races in 2014, Sauber picked up 14 in the first race of 2015 as Marcus Ericsson finished P8. "First of all, the team has done a great job over the winter. It is amazing for everyone in the team here in Melbourne and also back home in the factory to get this result in the first race weekend of the 2015 season," the Swede said. "We have seen good progress during pre-season testing, and with this achievement I am really happy for everyone. For me as a driver, I have scored my first points in Formula One, which is a big goal achieved. Now, we can build on this for the next race." Team principal Monisha Kaltenborn, who probably spent more time in court than at the track this week, paid tribute to everyone involved with Sauber. "That was a great achievement by the whole team. We already saw during qualifying that we are competitive, but being able to achieve these positions by our own efforts is a bit of a surprise," she said. "It is a confirmation of our hard work and a great reward for the team that had to deal with unfavourable circumstances. This applies to the crew in Hinwil as well as to the team at the race track. "It was an outstanding achievement which we have to be proud of. Obviously, I am very happy about our two drivers who both put in a great performance, and in the end they made this great result possible for us."